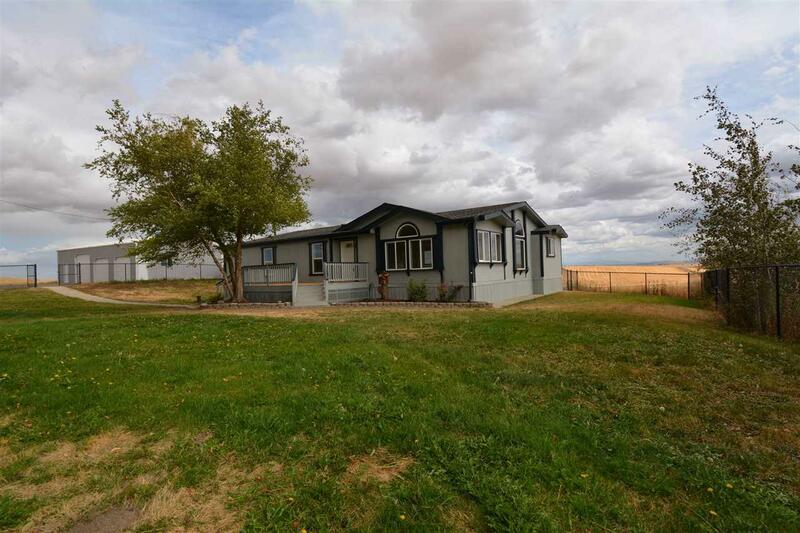 This totally updated triple wide on 3.25 acres featuring a 3-bay spacious shop. This house has vaulted ceilings throughout, an amazing master bedroom, en suite and huge master closet. New roof, paint inside and outside, new flooring through out, new granite counter tops, appliances. The main yard in completely fenced for the dog in the family. Have a refreshing drink and fire up the BBQ on the spacious deck over looking the beautiful wheat fields. There is pasture for the livestock.